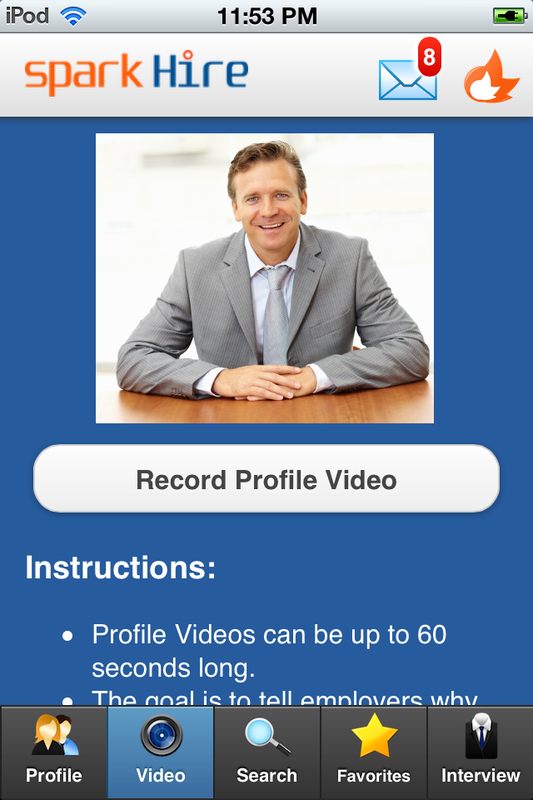 Job seekers and employers now have access to instant video job resources on their iPhones via Spark Hire’s (http://www.sparkhire.com) new free mobile application. 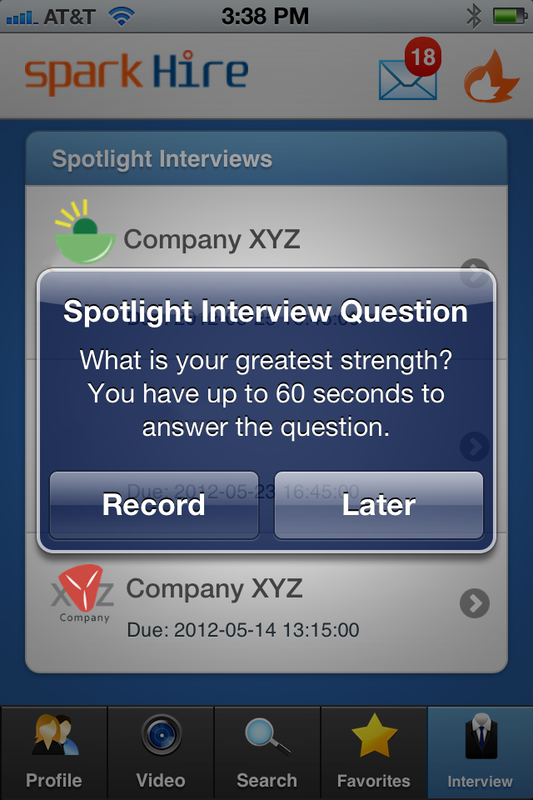 For the first time, job seekers can record a video resume in the form of a Spark Hire Profile Video or take part in a video interview, all from their mobile devices. The app complements the current Spark Hire platform, making it easy for job seekers and employers to interact while on the go. Aside from the ability to record and interview right from your iPhone, job seekers are able to manage their Spark Hire account, favorite job listings, receive alerts to jobs that match their selected criteria, and interact with employers from their Spark Hire inbox. “Just had an amazing video interview at SparkHire.com - I'm a tech guy, but the fact that I did it all from my iPhone amazes me,” said job seeker David Walls on Twitter. Employers also are able to use their Apple device to manage their company profile, view their job posts, playback video interviews, and communicate with job seekers. Click here to download the app from the Apple Store. Spark Hire will soon release the iPad and Android device version app, as well. Spark Hire, a Chicago-based startup, combines a job board and online interviewing platform to enrich interaction between job seekers and employers. By integrating video with traditional online job board features, Spark Hire bridges the gap from the initial application to the final decision by providing job seekers with a better way to stand out and employers with a more efficient way to identify top candidates. For more information, please visit http://www.SparkHire.com.